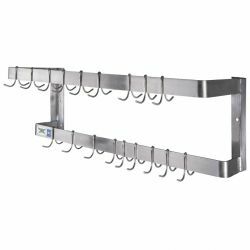 For your custom shelving, you can select shelves and posts in a variety of types and configurations. 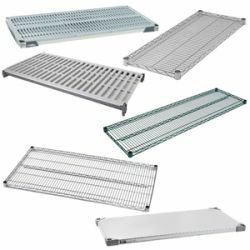 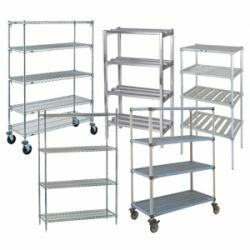 You can choose from heavy-duty wire shelving, solid shelving, or vented shelves. 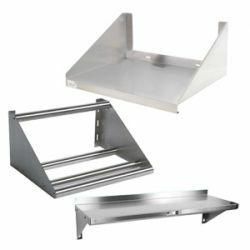 Different widths and depths are available so you can design your shelving to accommodate your space. 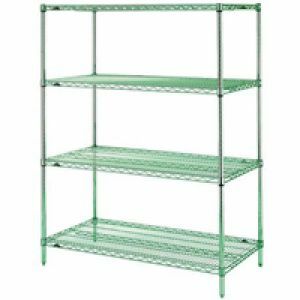 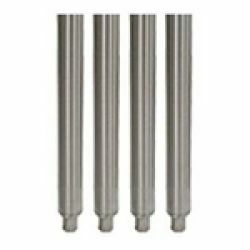 Shelving posts come in several coatings, including chrome and green epoxy. 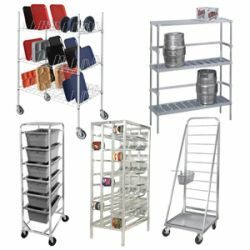 No matter what kind of shelving you require for your restaurant or other foodservice business, you will find it at Restaurant Supply. 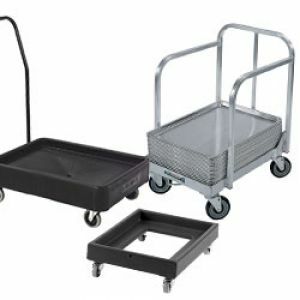 Carts make everyday operations go smoothly. 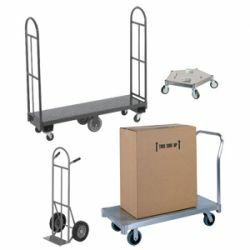 Heavy duty wheels, and strong shelves, drawers and cabinets for storing and moving items, make them a great addition to any business. 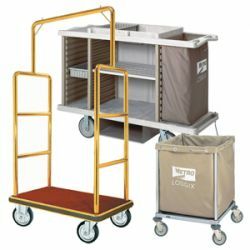 Transport beverage dispensers and stock shelves with bulk ingredients. 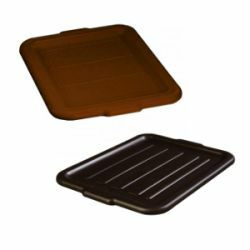 Deliver prepped meals to guests and patients. 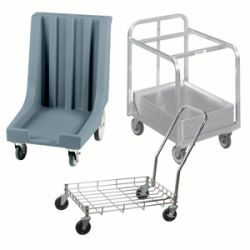 For these, a dedicated cart is really the only solution. 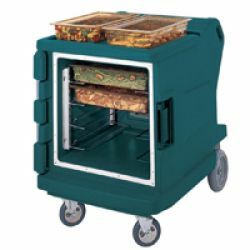 Ideal for service of desserts, condiments, salads, and more, carts come in a huge assortment of types and functions. 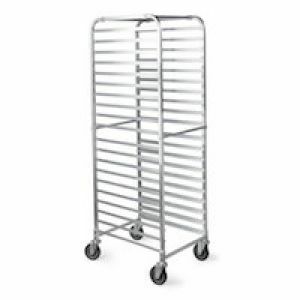 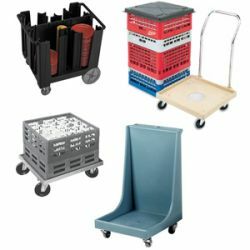 Carts are perfect for storing plates and trays ready for use, for serving food, and for bussing. 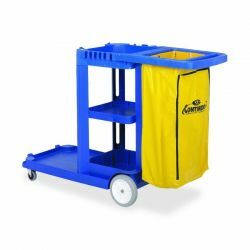 In the hospitality industry, carts also help with luggage at check in and laundry at checkout. 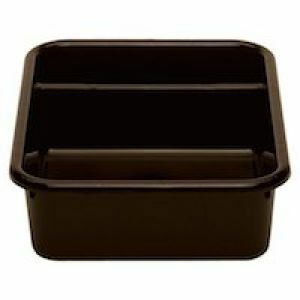 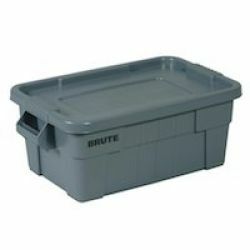 For storing or transporting both clean and dirty dinnerware and flatware, you will require bussing tubs and dish boxes. 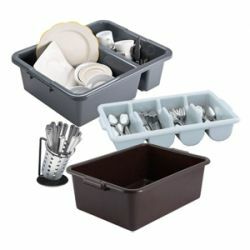 Flatware bins allow storage and display of flatware so that guests can select their own. 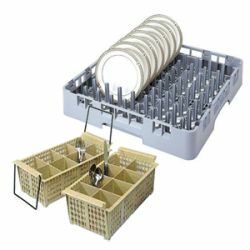 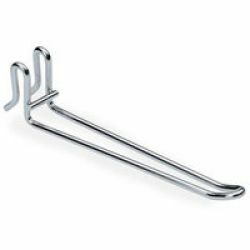 Warewashing racks for glassware, dishes, and flatware are also needed to you can quickly load dishwashers and unload them to stock up on clean dinnerware. 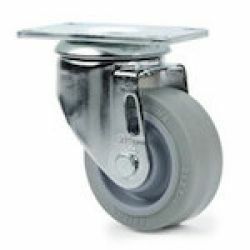 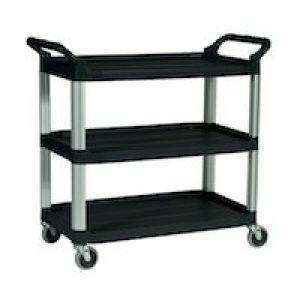 For many foodservice equipment, transport equipment and even storage products, including carts, shelving, food pan carrier, portable ice bins, and more, you need reliable and durable casters that provide mobility. 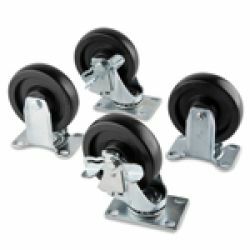 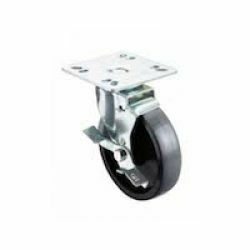 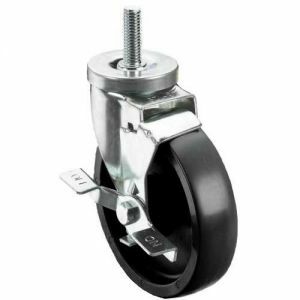 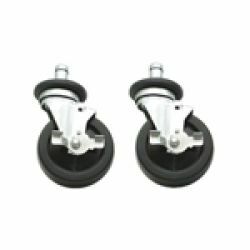 Some products utilize legs without casters, and we have replacement legs available. 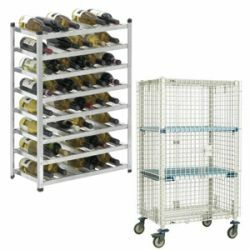 From refrigeration and holding cabinets to shelving and food tables, you will find the kit or accessories your equipment needs. 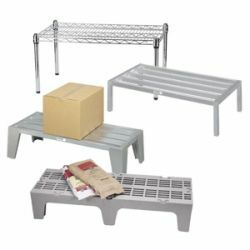 Any foodservice establishment that has successful, high-volume business knows that buying ingredients in bulk saves money and provides peace of mind that you won't run out of the key items. 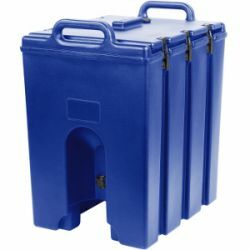 Bulk food storage in the most efficient, plastic food containers that protect your investment is a must. 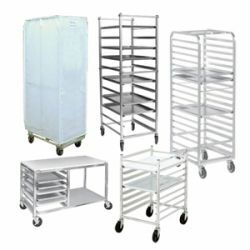 You need sealed storage boxes, ingredient bins, restaurant-grade shelving and storage racks that will organize and hold your food products so that you and your employees can find the exact items you need with a quick glance. 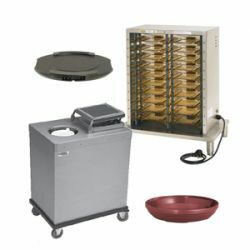 You want your ingredients fresh, easy to find, and ready for use. 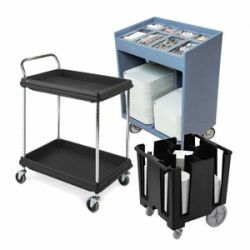 So think your menu through, determine the food items you rely upon the most, and figure out where they should be placed for optimal workflow in your kitchen or catering business. 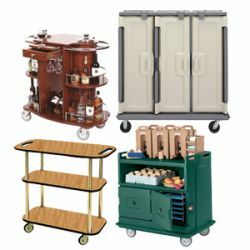 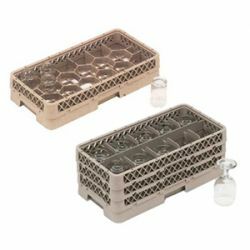 Then look at the storage and transport equipment available on RestaurantSupply.com, organized so that you can find the pieces that will help YOU get organized.